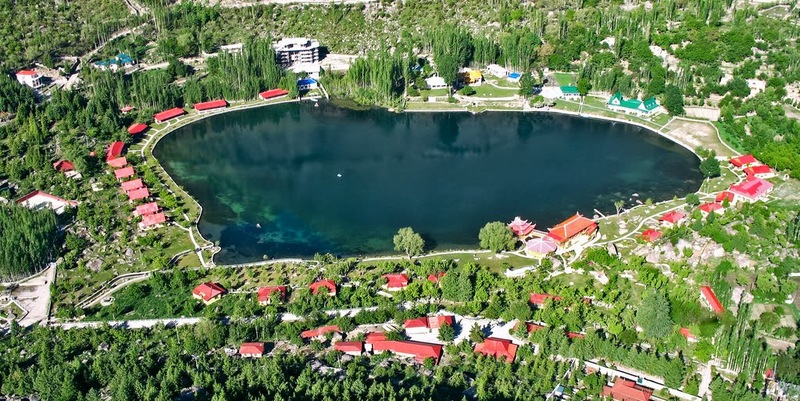 Skardu is one of the most visited tourist cities of Pakistan and in summer the Skardu city is flooded with the tourist from all around the world. 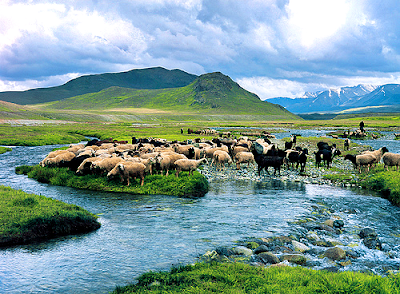 As Skardu is the base camp for the worlds mighty rocky mountains like K-2 Gashabrum, Mashabrum and worlds highest plateau Deosai, the tourist from around the globe first land here and then diffuse in different directions. 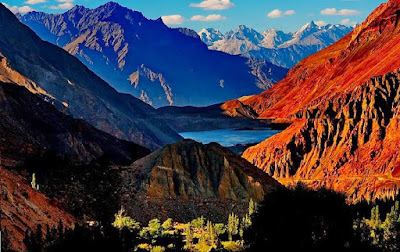 So when you land in Skardu without any prior knowledge of hot tourist spots it could be difficult for you to choose and move towards a specific direction. The reason is, there are dozens of amazing and picturesque places in and around the Skardu and without any plan, you can face difficulty in choosing the best spots. So, here are our suggestions. Of course, there are many places to visit, but if you don't have enough time then you should choose the best 5 places, as you can say these are the identity of Skardu and you can proudly say you have visited the Skardu. 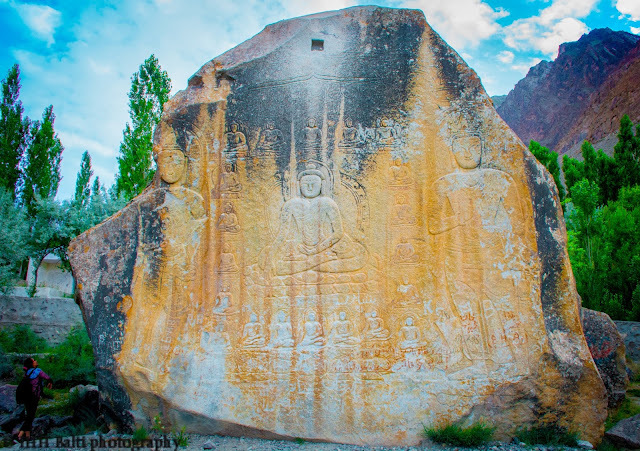 If you miss any of these 5 places, you actually haven't been there in Skardu. The best place we would say in Skardu where you can feel the wilderness and enjoy the serene beauty of nature is, of course, the Deosai Planes. 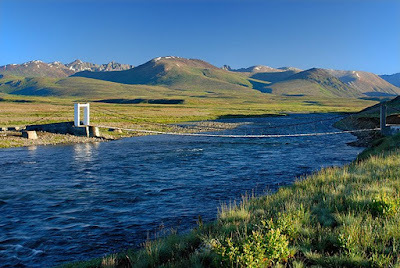 The Deosai welcomes you with the fragrance of blooming wildflowers stretched over thousands of square kilometers this is actually the place where you would find peace, wilderness a sense of satisfaction. You can enjoy fishing at the Bara Pani and have a chance to see the brown bear (the only species which is found in Deosai) if you are lucky enough and take amazing photographs at the Sheosar Lake. 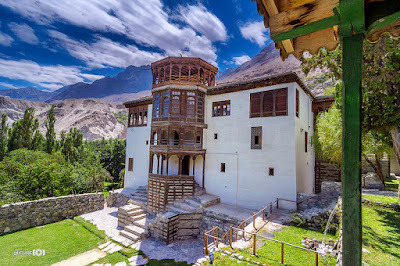 Shangrila, a part of heaven, surrounded by rocky mountains of Himalaya and Karakoram this marvelously designed resort is only at a distance of half an hour from the downtown. Surrounded by the trees of eucalyptus, apricot, apple, conifer, and Juniper this resort is the best place to stay. You can walk around and see the huts built at intervals lost in the forest and the cafe which is built in a fuselage of PIA aircraft which had crashed nearby in 1954. Nearby is the Upper Kachura lake which you can access on foot. 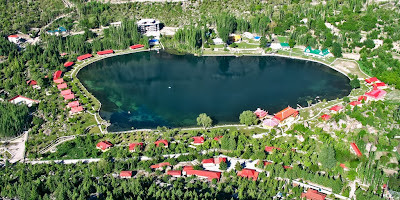 Satpara Lake is located only at a short distance of 20-30 minutes drive from the main bazaar. Here you can enjoy fishing and boating. The lake is one the biggest freshwater lakes and you can enjoy boating in the lake stretched over a vast area with crystal clear water. This lake is on the way to Deosai and you can cover both in one trip. This fabulous fort is about half hour drive away from the main bazaar. Here you can enjoy the Tibetan style architecture of the fort and enjoy the fruits of the garden attached to the fort. This fort is also known as Fong Khar [ Fort built on Rock ] because its foundation has a huge rock. The road to this fort is actually the road which takes one to the K-2 peak. This is another meticulously built Tibetan style fort. 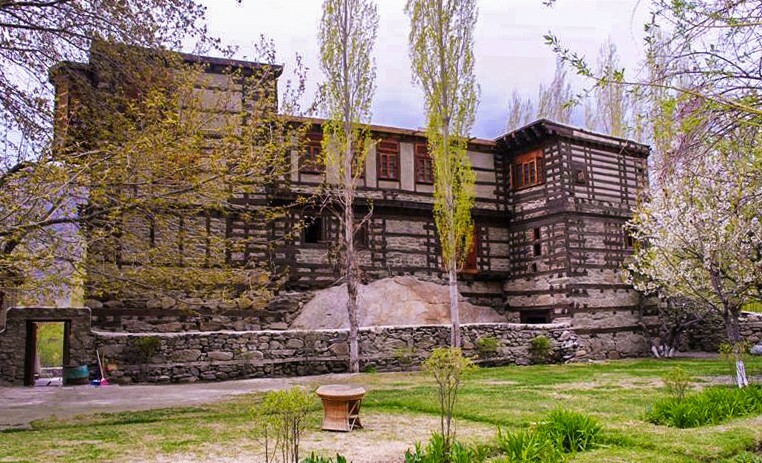 This fort is about one and half hour drive away from the Skardu city. If you visit this fort then there are other tourist spots as well around this fort which you can visit on the same trip. You can visit the Chaqchan Mosque located nearby and visit the Shyouk River bank to enjoy the cold breeze of glacier water. There are many other tourist spots which you can visit in the city either on foot or on any conveyance. We haven't listed these in above list because these are within the city and you don't need to spare extra time for these. For instance, Kharpocho Fort can be visited on foot because it is inaccessible by any vehicle due to its sheer terrain. Similarly, you can visit the Shaheen Polo Ground, Yadgar-e-Shohdaa, Sarfa Ranga and many other tourist spots in the city.